Tonight on Locals Only, 9 year old blues prodigy Roman Barten-Sherman live in Studio 2A. 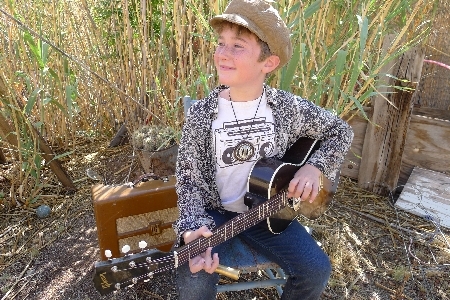 To find out more about Roman, see this Tucson Weekly article by KXCI's own Gene Armstrong. Listen to his Locals Only performance at 91.3FM and past ones at the KXCI Locals Only Podcast Archive (and this one once it is available).